NEWS ANALYSIS – The ongoing military offensive against the cities of Manbij, Jarablus and Raqqa is about to cut off the Islamic State’s last and most important supply line. Since the end of May 2016, the Syrian Democratic Forces (SDF) – spearheaded by the Kurdish “Peoples Protection Unit” (YPG) – have conducted a military offensive with the aim of liberating the cities of Manbij, Jarablus and Raqqa. An international coalition of personnel from the United States and some 30 other countries provides the SDF with aerial support. In addition, nearly 300 members of the US special forces are assisting the SDF with training and coordination of the military offensives. While Raqqa is the Islamic State’s de facto capital, Manbij is a strategically important town some 25 miles from the Turkish border, which the Islamic State (IS) uses as a gateway to the rest of the world. According to Western intelligence services, the attackers in Paris and Brussels are suspected of using Manbij as their road in and out of Syria. Manbij is also one of the Islamic States largest oil markets, and an important trade route. Although other routes previously existed, such as one via Tel Abyad, which was liberated by SDF forces in May 2015, the route via Manbij and Jarablus is the only remaining IS route out of Syria into Turkey. The operation’s main objective is to cut the Islamic State’s lifeline to and from Turkey. In mid-May 2016, the new commander of the US forces in the Middle East, Army Gen. Joseph Votel, paid a secret visit to the Kurdish town of Kabana in northern Syria. Soon after, on 24 May, the Syrian Democratic Forces officially declared that the move “to liberate northern Raqqa” had begun. Counting their successes, the SDF so far has reportedly liberated close to 30 villages and farms in northern Raqqa. 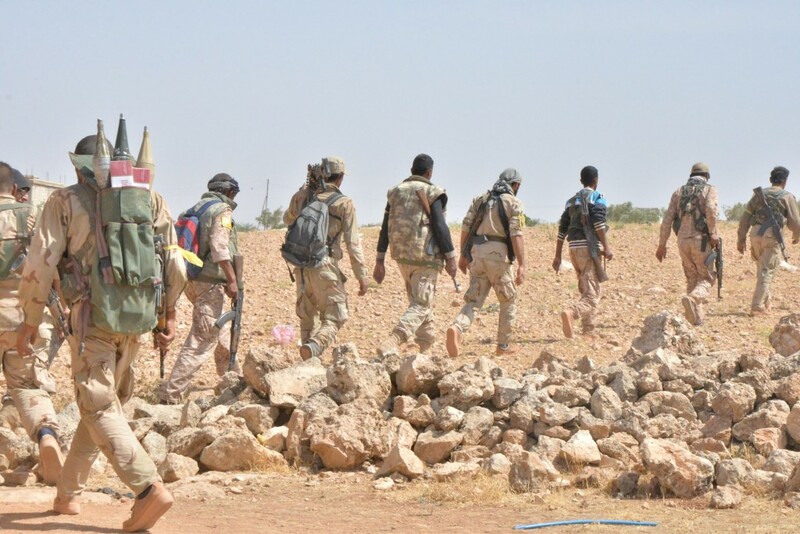 According to Kurdish sources, the first stage of the assault, seeking to liberate and encircle the northern part of Raqqa, was nearly completed as of 12 June 2016 1. The plan is to follow up the first stage with the liberation of the city itself. The military offensive toward Raqqa, the de facto capital of the self-proclaimed Islamic State, has the limited objective of gaining control of the northern territory and encircling the city. On 10 June 2016, the Raqqa offensive was temporarily suspended as the SDF shifted its focus to the liberation of Manbij and Jarablus. The city of Manbij is the second largest under IS control in Syria after Raqqa, and has been under Islamic State control since January 2014. The offensive here is aimed at full liberation of Manbij and the encircling of the city of Jarablus on the Turkish-Syrian border, thereby cutting the Islamic State’s connection with the outside world. If successful, the liberation of Manbij and Jarablus should pave the way for a continued operation against Raqqa. SDF forces on their way to Manbij. Photo: ANHA. Under copyright. Used with permission. The expected fall of Manbij is significant in the fight against the Islamic State in a number of ways. After various armed anti-government militias surrendered to the IS offensive in January 2014, Manbij became a hub for jihadists entering Syria from Turkey due to its geographic location. As mentioned, Manbij is one of IS’s biggest oil markets in Syria. According to a report by the Norwegian Foreign Ministry and the consulting company Rystad Energy, large amounts of oil from the Islamic State are also being transported to Turkey through Manbij. In addition to using the city as a logistical centre for supplies from Turkey to Raqqa, the city serves as a key supply line to the Islamic State’s strongholds in Iraq. In addition to cutting the IS supply route from Turkey to Raqqa and on into Iraq, the fall of Manbij and Jarablus could reduce the Islamic State’s ability to threaten Europe, as it will restrict travel forth and back to the group’s heartland. The internationally coordinated offensive against Manbij also illustrates the complexities and the geopolitical aspects of the Syria war. Much to NATO member Turkey’s dismay, the Syrian civil war created unprecedented momentum for Kurdish national aspirations in the Kurdish areas of Syria. Manbij was part of Turkey’s proposed buffer zone, which the international community declined to support despite intensive efforts by Turkey. On 29 June 2015 Turkey declared a “red line” west of the Euphrates River and said any attempt by the Kurds to advance beyond it would be treated as a threat to Turkey´s national security. The Turkish government’s refusal to let a Kurdish-dominated group control the area has been blamed by some for a several-month delay in the military offensive to liberate Manbij. In late March 2016, US Secretary of Defence Ashton Carter said a military operation to seal off a crucial ribbon of northern Syria called the “Manbij Pocket” would be of top priority in the fight against terrorism in Syria, something that would go against Turkish interests in the area. The operation followed closely on US Gen. Votel’s visit to the Kurdish city of Kobani. The operation itself started from the town of Ayn Issa, which the Kurdish People’s Protection Unit (YPG) took control of in June 2015. 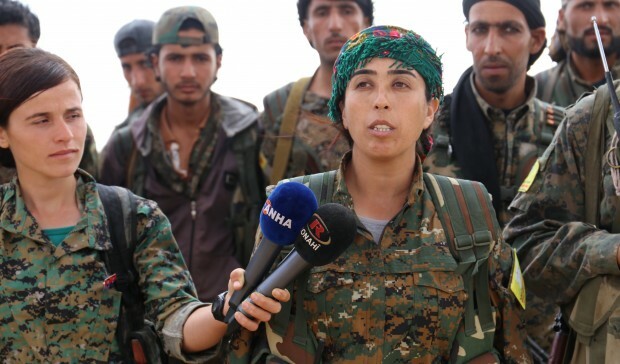 The operation is led by the female Kurdish commander Rojda Felat, and some 10,000 of the 15,000 SDF forces are Kurdish, while the remaining 5,000 are Arabs. The Kurdish leadership role in the operation has not escaped local controversy. Some Arab opposition groups criticize SDF’s assault on Raqqa and complain that an Arab city should not be captured by a Kurdish-dominated force. The liberation of the city is therefore expected to be led by Arab forces within the SDF. The biggest controversy, however, concerns NATO ally Turkey. The United States notified Turkey about the operation, but Turkey has not made any contribution to the effort. Speaking to Reuters on 1 June 2016, a Turkish military source was quoted as saying that “…Turkey has no contribution to the support that the US gives to the YPG in in Syria’s Manbij region”. The background is Turkey’s long-standing conflict with its Kurdish minority. Turkey fears that a northern Syria dominated by the Kurds will become a safe haven for the outlawed Kurdistan Worker’s Party (PKK), which is also labelled as a terrorist organization by the European Union and the United States. It is no secret that many Kurdish militants fighting the Turkish government in south-eastern Turkey have gained experience in urban warfare in northern Syria. The Turkish government fears battle-hardened Kurds returning from Syria to Turkey more than it fears the Islamic State. The liberation of Manbij and Jarablus from Islamic State control would make it possible for the Kurds to unite the area with the rest of the Kurdish-controlled territories in northern Syria into one federal region. From a security perspective, it is easy to understand Turkish concerns about the ongoing military operation. In the Syrian theatre, many see the Kurds as able and steadfast allies of the West in the fight against the Islamic State. The recent developments could end up influencing Turkey’s relationship to the United States. On the ground, a battle for strategically important areas is underway. Civilian accounts from northern Raqqa and Manbij appear to confirm an increasing sense of panic within the Islamic State as SDF forces manage to take control over and cut the Manbij-Raqqa and Manbij-Jarablus connections, which are key supply routes for fighters and weapons. According to Syria-based Hawar News Agency, which reports from northern Syria, Islamic State fighters have raided the homes of civilians in areas close to Manbij centre and in the small town of el-Kendura and forced residents to join their ranks. 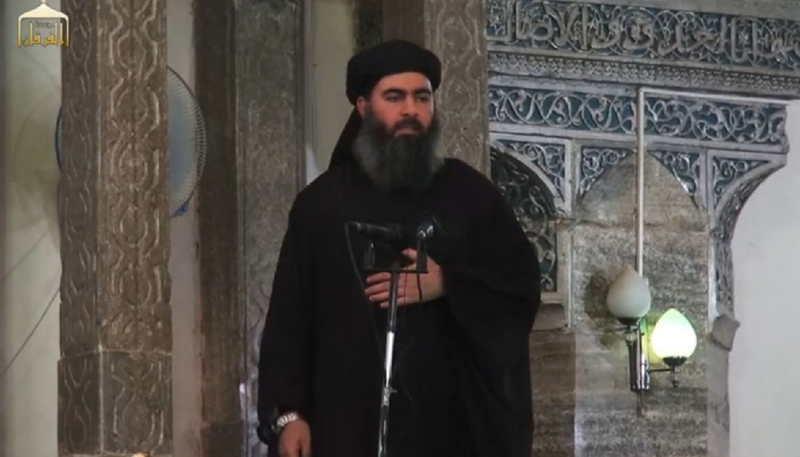 The question of which external actors support the Islamic State has also been central to debate ever since the establishment of the self-declared caliphate back in 2014. After the capture of the Iraqi Central Bank in Mosul in June 2014, the Islamic State was dubbed “the world’s richest terrorist organization”. The group also receives substantial revenues from oil sales and taxes. 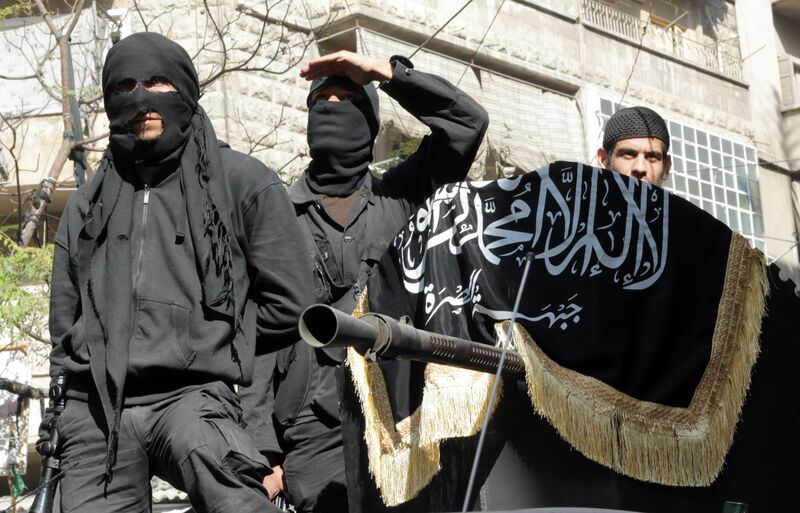 However, the large flow of foreign fighters into Syria remains the organization’s lifeline. Passports and personal documents reportedly obtained by journalists with close contact to fighters and other SDF ground personnel3 confirm that fighters and activists from Indonesia, Malaysia, Kazakhstan and several other countries have continued to enter Syria from Turkey until recently. While some of the documents show that the jihadists entered Turkey as early as 2011-13, some electronic visas were clearly issued in the midst of the YPG’s fight against the Islamic State in Kobani at the end of 2014, when the Turkish government refused to open its border to Kobani for humanitarian aid. Other documents show jihadists entering Syria from Turkey in mid-2015, when Turkey received harsh international criticism for its unwillingness to seal its borders with Islamic State controlled areas and when the offensive to liberate one of the most important Turkey-IS border areas, Tel Abyad, was launched by the SDF with the international coalition’s air support. Kurdish sources say it has been almost impossible to cross the border between Turkey and the Kurdish-controlled areas in northern Syria. The only exception was reportedly Peshmerga soldiers from the Kurdish Regional Government in northern Iraq using Turkey as a transit route to the town of Kobani in northern Syria to aid the Kurdish YPG’s fight against the Islamic State. This was said to have come about only due to intense pressure on Turkey from United States. There are those who claim this as a sign of Turkey’s willingness to do what it takes to stop Kurdish advances even if that benefits the Islamic State and other Sunni jihadist groups. Ironically, Turkey’s unwillingness to seal off its border with the Islamic State has left the United States with little choice but to cooperate with the Kurdish YPG and the SDF, which Turkey consider terrorist organizations. The possible impact on Turkish-US relations after the fall, or at least the retreat, of the Islamic State in Syria and Iraq raises a series of questions: Will the United States support the creation of a Kurdish regional federation in Northern Syria and risk undermining its friendship with NATO ally Turkey? Alternatively, will Turkey realize the failure of its foreign policy in Syria and accept a new Kurdish neighbour? At present, IS’s opponents appear to be encircling the group’s main strongholds in Syria, choking off its flow of soldiers and weapons. There is reason to believe that IS will eventually collapse in the face of SDF’s advance and the international coalition’s air support. In turn, the fall of the Islamic State could mean the rise of the Kurds as key players in the region, backed by the strongest country in the world. Ciwan Maksut Can has a bachelors degree in international studies from Høgskolen i Lillehammer, and a masters degree in international studies from the University of Stellenbosch in South Africa. In addition to Norwegian, English and fluent Turkish, Ciwan also speaks Kurdish and is currently learning Chinese (mandarin). 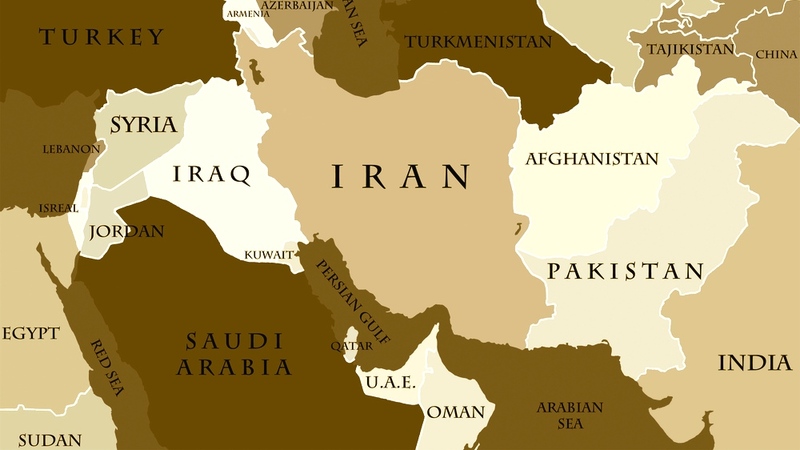 Ciwans main fields of interest are international relations, foreign, defence and security policy, geopolitics and political/economic processes in the Middle East and North Africa region. Ciwan also have interest and solid knowledge on issues related to the BRICS, great power politics, China-Africa relations, and Chinese foreign policy.